Andrew Heming's Blog: Are You Falling for Today’s Biggest Nutrition Fad? Are You Falling for Today’s Biggest Nutrition Fad? 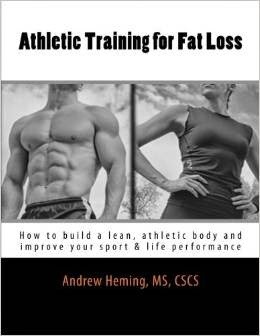 If you want greater health, performance and body composition, you want to avoid fat diets. While fad diets are great for selling diet books, they often fail to deliver the results you want. They cause you to focus on less important details and often miss the big picture. In the past there have been many fads such as low fat and low carb eating. Today there is a huge dietary fad and if you are not careful you will fall for it, hurt your progress and make your nutrition way harder than it has to be. I believe today’s most popular diet fads (and one of the biggest problems in the diet industry) is that we take a simple truth about nutrition to an unnecessarily restrictive extreme. This takes nutrition – which is really hard and makes it even harder. Here are some examples based on many of today’s popular diets. Related: Cheat Days and Is "If It Fits Your Marcos" Right for You? Eating whole, natural foods such as vegetables, fruits, nuts and meat is a great way to eat. Also, some people do not do well with certain foods such as grains, legumes or dairy. Eating a plant-based diet is very healthy for you. Eating processed meats, charred meats and red meat has been linked with certain cancers (e.g. colon cancer). Studies that compare the average meat eater (i.e. typical North American) to the average vegetarian (i.e. 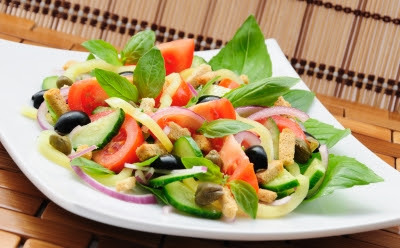 typically a health-conscious person) show that the vegetarian is healthier (more on this in a future post). Miss out on healthy foods. For example, I love fresh berries in the summer, but I still add frozen berries to my power shakes in the winter. Do not just replace junk food with gluten-free junk food – eat less junk food! Do you really think fruit is the cause of the North American obesity epidemic? The Bottom Line: Do what work for YOU! Start by gradually, but consistently drinking water and eating more vegetables and eating less junk. This is the real secret to better nutrition and is what every successful diet has in common. Also, if following a popular diet such as one of the ones mentioned here allows you to achieve the above, great, enjoy. As always, I invite you to leave your comments or questions below or on my Facebook Page. I think an important part to take from this is that it's ok to hop on a diet fad as long as it doesn't rule your nutrition lifestyle. Some people don't know what "eat what's best for you" means, so seeing these trends may be the only thing that motivates them off the junk food diet. But it goes without saying, a little due diligence on whichever path is considered goes a long way. Well said Rob, thanks for your comment! Nice article, Andrew! Nutrition can be very confusing and frustrating for most people. I've had a lot of success with flexible dieting as it allows people to enjoy the foods they like in moderation as long as they control quantity. This is less restrictive and reduces the risk of binging. Keep up the good work! Thanks for your comment and suggestion Marjorie and thanks for reading. This is a HUGE issue that I would have to look into a lot more before writing on it. I've added the idea to my list and I'll see if I can tackle it in the future (no promises).